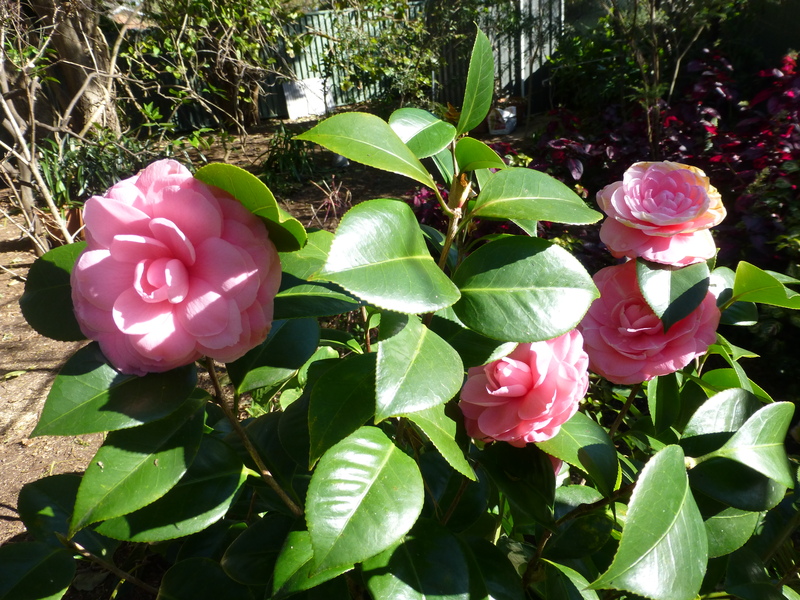 Here in Sydney, the Camellias are in bloom. This is one of mine. It’s a Japonica variety: you can tell by its large, glossy leaves and the well-formed, large flowers. In their prime, Camellias are hard to beat. They rival the roses for colour and form, but are quite without thorns. While the chilly, early morning air makes it a struggle to get out of bed, Winter in Sydney has its upside. High among these are the beautiful flowers that are typical of the season. From the absolute glory of natives such as Wattle, through to the exotics like Camellia– beauty is all around. 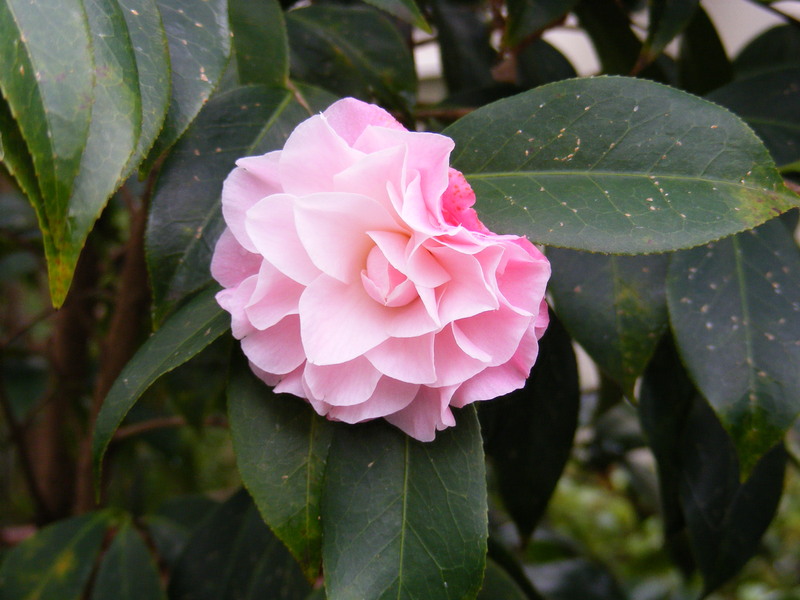 Here’s a photo of one our pink Camellias. 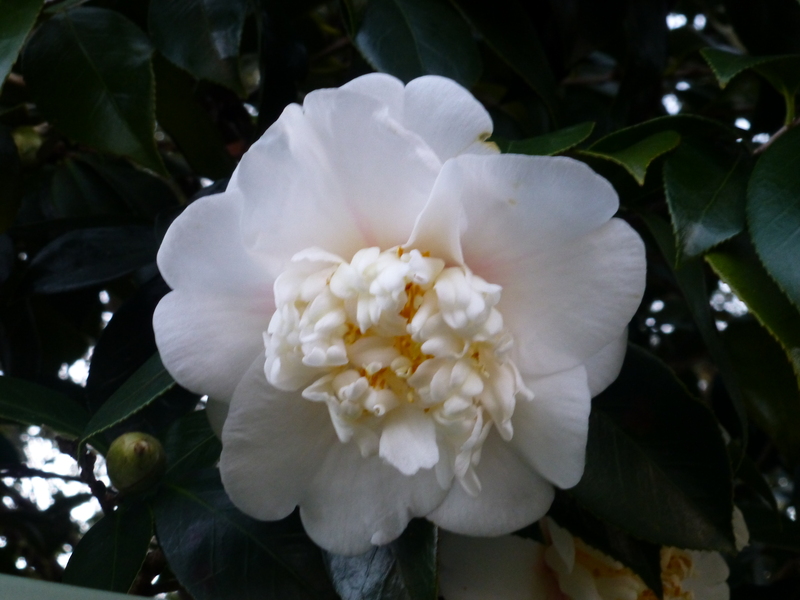 Despite their drawbacks, I love Camellias. For many weeks now, my favourite one has graced our yard with its glorious pink blooms. It’s so long ago since I planted it that I’m not certain of its name, but I think it’s called Prince Frederick William. It’s a Japonica variety: its large and lovely glossy leaves testify to that. mid Winter to early Spring. Let’s go outside and enjoy it!